Did you know? Lightning strikes 3 million times per day worldwide. And the threat of lightning doesn't just come when you hear thunder roar. Did you know? Lightning strikes 3 million times per day worldwide. And the threat of lightning doesn't just come when you hear thunder roar nearby or see the storms cloud rolling in overhead. Lightning can strike the ground more than 10 miles outside of a storm system which means you may never see it coming. Not much of a reader? 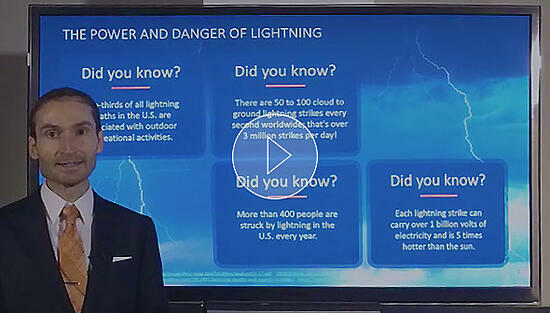 Learn all about lightning in this 15-minute video from last year's Lightning Awareness Week (June 25-28). This first video in a 5-part series covers the science behind thunderstorms and lightning and how to protect yourself with lightning alerts. Earth Networks customers have access to the most technologically-advanced total lightning network in the world. With 1,700+ lightning sensors covering more than 100 countries worldwide, you can trust that the lightning and Dangerous Thunderstorm Alerts we issue represent the most accurate and complete picture of severe weather in your area. 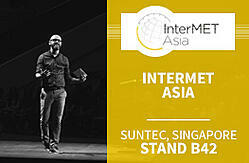 You can learn more about the ENTLN here. Make weather safety a priority this year. 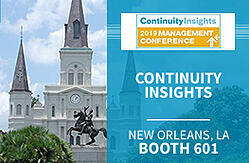 Assess your severe weather readiness with a free safety audit. 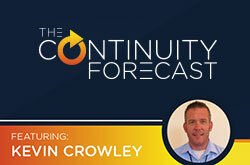 Dedicated to helping business leaders mitigate threats that can threaten their operations, the Continuity Forecast podcast shares insights from industry leaders about the latest trends in business continuity. A severe weather event (think hurricane, flood, tornado, etc.) can do some serious damage to your business and even bring operations to a full stop. 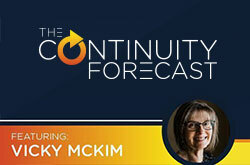 Vicky from Aureon gets you thinking about the impact severe weather can have on your business in episode 5 of the Continuity Forecast podcast. Although modern airplanes are designed to withstand lightning strikes (and commercial aircraft are struck once per year on average), lightning remains a top threat to airport operations. Hear from Kevin on the safety measures JetBlue take to ensure the safety of their passengers and crews in this episode of the podcast. Your employees, visitors, and assets outdoors are at risk when lightning strikes nearby. There are a lot of ways to protect outdoor employees and visitors from lightning at your facilities. We've compiled a list of the top 5 ways including total lightning detection, automated outdoor alerting systems and more! Keeping passengers, crews, and equipment safe in the Aviation industry is no small task. Those hard-working men and women working in ground operations to taxi airplanes, load and offload baggage, and fuel up aircraft, are in imminent danger when lightning strikes. 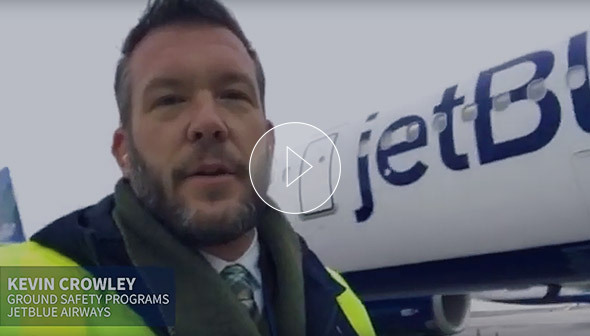 In this customer spotlight, we hear from Kevin Crowley at JetBlue on the tools they use to keep workers safe. You received this email because you are subscribed to Marketing Information from Earth Networks Inc..